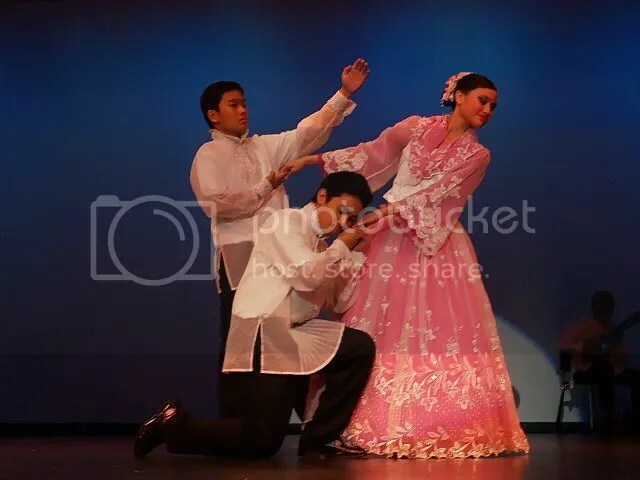 Within the past week, I have been, I guess you could say, “furiously” diving into the hidden treasures of my home, family and culture by scavenging the various cultural preservations and representations of Philippine culture through music and dance. With that, KARIKTAN has been my answer. 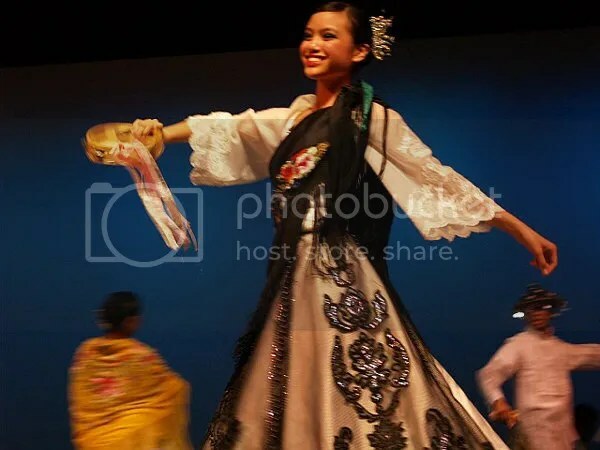 If you hadn’t known, I am on-board to help co-direct and co-coordinate UC Irvine’s Pilipino-American Cultural Night’s (PACN) Maria Clara cultural dance suite this coming Spring 2013. 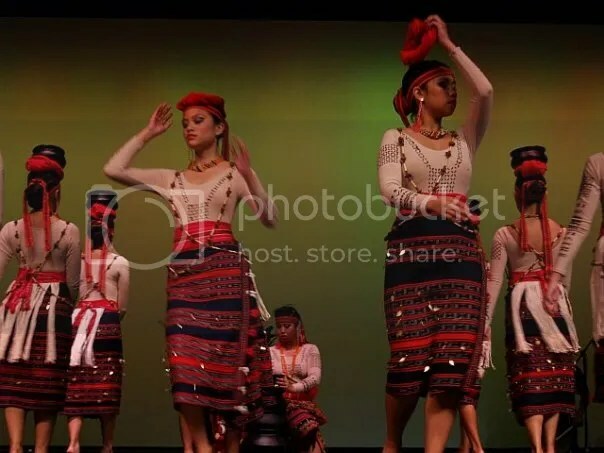 As a trained Filipino-American cultural dancer/instrumentalist for more than 7 years now, giving back a piece of myself, my family, my home and my culture to my peers means a lot to me. This opportunity is exciting and nerve-wrecking and, as a result, has led me to retouch base with the past 7 years of my involvement in the KARIKTAN Dance Company. It was a slow, sunny afternoon in early July. At 12-years-old, I nervously walked into a small dance studio located near my two older brothers’ high school. Clad in a cropped, bright-orange Monkey ringer t-shirt with my long, dark-brown hair casually slung behind one ear and over my two shoulders, it was the end of an afternoon’s dance practice. Teenage girls and boys of Filipino descent were all around, walking through doors, lacing their shoes, packing their bags, grabbing slices of pizza to eat as mothers and fathers casually chatted with their kids and other parents. People were laughing, talking, eating. The head artistic director–a seemingly-scary older woman–was sitting in a chair at the front of the studio talking with some of the dancer’s parents. There was a strong, familial sense throughout the entire studio; it seemed that this whole community of kids, parents, and conjoined families, all created a second-family together. Trying to find my brothers with the motive of leaving, with my mom waiting inside the car, I went back outside with my oldest brother following behind. I hear a woman behind me say, “Who’s that girl?” I hear continued mumbling. “The girl in the orange,” she confirms. Within just a few steps of exiting, my brother taps me on the shoulder, telling me to go back inside. He signals me to the head director, Tita Polly, who wants to talk to me. After having gone out with my mom to watch and support my brothers perform with the company for the past 5 months, I was secretly excited that she wanted to recruit me so I could tell my mom to let me join. Gathering all of my family’s KARIKTAN dance videos over the past years this past Thanksgiving weekend–from our annual full show DVDs 2005-08, to appearances on TV, to our SF Ethnic Dance Festival auditions and other special events and performances–I’ve been able to see, re-live and retouch base with the truths that lied in the group, then and now. Backstage at Scottish Rites Temple, 2006. What particularly stuck me the most was how easy it was to see each performer’s life and personality through the way they danced, and the dances they found themselves in. Seeing the same faces appear dance after dance, solo after solo, it was easy to see which dancers may have been favoritized, who really knew how to dance, who tried so hard to get a spot in the limelight, or just were plain in it because of their friends or their parents. Performing “Flor de Manila,” 2008. But, aside from all the technicalities of being a part of this family and dance company, I have not only have re-found myself, my values, my motives and insecurities back then, but I’ve re-discovered why this all has become so important to me. Being a part of the KARIKTAN Dance Company not only introduces you to the Philippine culture through dance, music, and song but, you also become a part of a family. 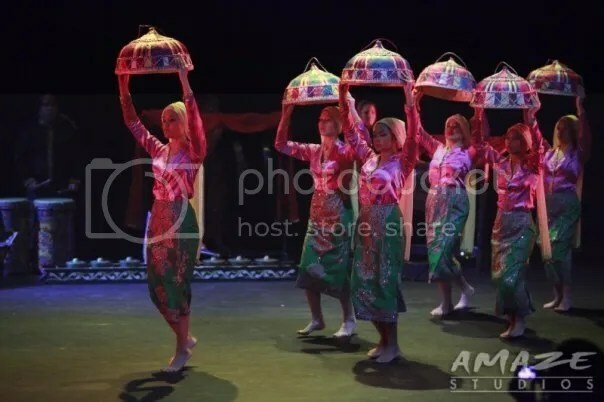 Naturally run and created by the Herrera family themselves, this dance company was all started by local Filipino families with their 1st-generation American children who all found a piece of themselves in this group. We’ve all grown together and learned together, and, as I have found that a big part of the Filipino culture relies on family, that quality has even reciprocated into being a part of a group like this. Perhaps what has made us all stay for so many years is that fact that we have not only seen ourselves grow, learn, or make our parents proud, but we’ve created a family with each other. With my brothers, annual KDC Full Show, 2005. It seems obvious to see that most of my distinguishing qualities have all started from a want to “copy” someone older than me (as from my dancing and playing guitar), I have found that being a part of this group has helped me embrace the woman inside of me. With no real strong female influence on my growing up (being the tomboy I first was upon joining the group, thanks to my two older brothers), the older “sisters” of this group had a strong impact on my growing up. 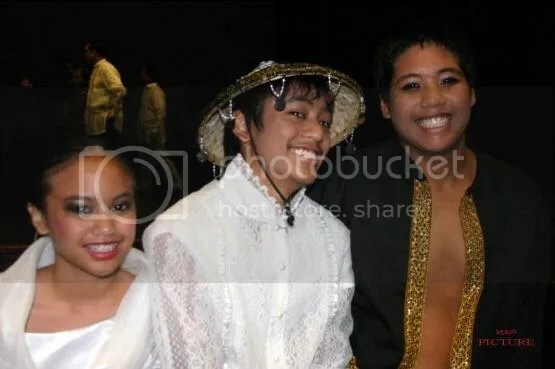 During my first full show in 2005, I remember having to have my picture taken and an older “veteran” dancer helped me to put on my make-up for me. For the first time, after having my hair and make-up done, she gave me a mirror as I saw myself and jumped up in my seat, scared by my own reflection (I couldn’t recognize myself!). She laughed, assuring me how pretty I was. “What a transformation, right? !” A dad of the group told me, “Ah, maganda! Ganda-ganda mo!” (Maganda is a Tagalog term for a female meaning “beautiful”; men use this to describe an attractive lady, or, more accurately, a lady’s heart who is “sweet, kind, and thoughtful”.) From an early age, I was immersed into a community, and world, embracing culture, family, and my own woman-hood. Performing and leading “Tutup,” 2009. One other thing I have noticed over the years is the type of people we have all become in this group. The people in this group have become known to me as the most humble, down-to-earth, family-centered, and truly good-hearted people I have ever known and met. One once told me, “The people a part of our group are so unique … You have to be genuinely good people to be a part of this.” The people who have grown up in this group are good people, which is why the younger dancers, like I myself once was, was inspired by, and soon became one of, the veteran dancers; young people want people to look up to, to “teach them the ropes” and whatnot, which is what made this group one that not only brings families together, but also fosters a youth’s own self-confidence, growth, talent, and character by looking up to one’s who’ve already gone through it all. Aside from that, I have learned something about myself. As a generally lonely person who often went through high school questioning her own angst and loneliness, I’ve found that the comfort I find in being a part of dancing, playing music, and the few intimate relationships I have in my life give key to my character. Coming from a small family who lacked a bigger family growing up, finding a family within KARIKTAN has helped us all in so many different, unimaginable ways. It not only brought my own family–my mother, two brothers, and myself–all closer together, all becoming involved in KARIKTAN and becoming a staple involvement in all of our lives, it introduced us to our world and community around us. It opened our eyes to a culture that would have otherwise gone to dust with our immigrant parents who tend to leave their Philippine culture back on the plane coming to America (creating an otherwise fully-American persona). 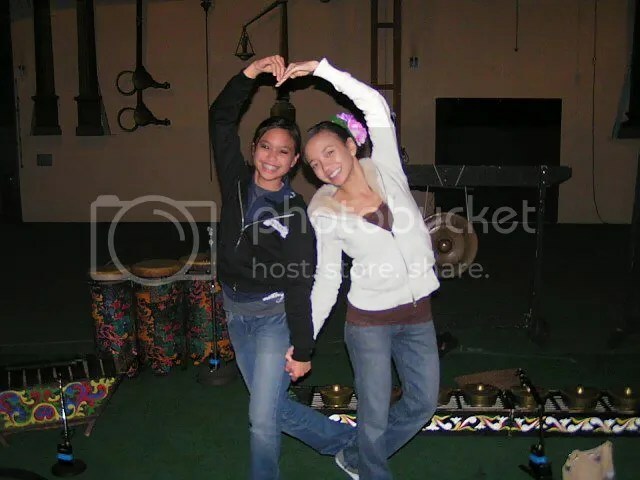 Backstage at annual KDC Full Show, 2007. Even though being a part of this has given us all something to look forward to at one (or many) point(s) in our lives, perhaps there was a bigger message that was living and breathing throughout all of us at the moment that we would not have otherwise noticed. As purely American children, being as “white-washed” as we could, the only link we had to our culture, or had known of it, was of the culture we found in the dances, and of the family we created in it. That is what the Philippine culture has become to me. That is what I have known of it. And that is what I have grown up to know about it. Embracing culture, and creating a family. Performing “Lazos de Amor,” 2008. As a young, Filipino-American seeking to find her place in this world… and perhaps as the sum of those significant people I have looked up to and have openly “copied”… My identity has been created by this. I grew up in a white community. I’ve gone to Catholic private schools all my life. I’ve never been raised by a father. I’ve found solace in guitar. I’ve found family in dancing. And I’ve found faith in my living. This is what my life has become known to me. KARIKTAN has helped foster the confidence I have in my being, and in finding my own true self–what it is I value, respect, love… After living a life full of looking up to and copying others, always seeking out some sort of “spiritual” or “musical mentor” all her life, perhaps now, at this point in my life, I have become freed of the chains of mere “student” and “apprentice”, but a full-fledged being and independent woman, free to share and re-create a piece of herself, her family, her home, her culture, and her upbringing with all those who willingly choose to walk into her life. Is that not the goal of all our livings? P.S. and gosh darnit, can I just add that the Philippine culture is just so darn beautiful and breath-taking?! This is all still an art-form, and in Art there is a Beauty… Feel it, be open to it, and stay witness to it.